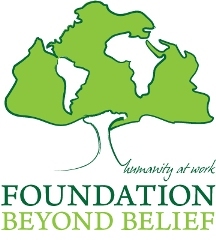 The Foundation Beyond Belief is a new organization designed to direct charitable contributions towards atheist/humanist projects. Okay, well not all of them need involve reaching towards atheist goals, but humanist ones. My pet project is The Beagle Project Foundation, which I promoted to a nauseating level of noise at Tangled up in Blue Guy. The project is a good example of the mission of the Foundation Beyond Belief. Our Mission: To demonstrate humanism at its best by supporting efforts to improve this world and this life; to challenge humanists to embody the highest principles of humanism, including mutual care and responsibility; and to help and encourage humanist parents to raise confident children with open minds and compassionate hearts. This entry was posted on Friday, January 1st, 2010 at 12:24 am and is filed under Announcements. You can follow any responses to this entry through the RSS 2.0 feed. Both comments and pings are currently closed. I’ll be joining up, soon, Dale. Thanks for putting this all together.